We recently speculated whether the recently certified 4.1.A.0.562 firmware for the Xperia arc S was Android 4.0 Ice Cream Sandwich and now we can officially confirm this to be the case. The firmware has been leaked and a number of users have already downloaded it. 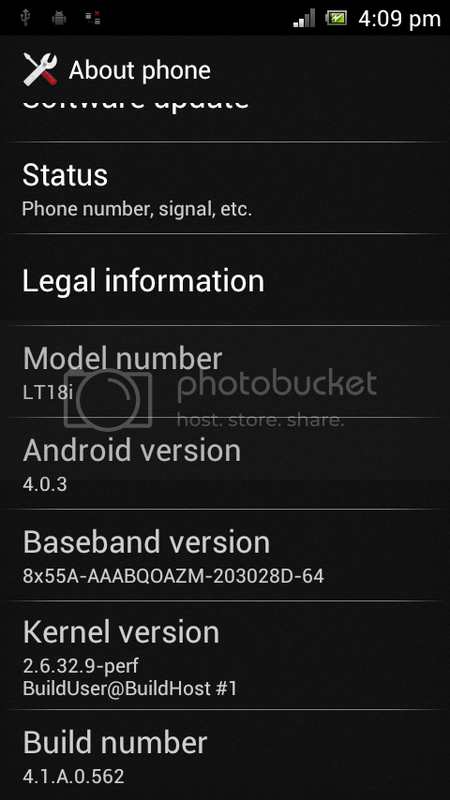 The Android 4.0.3 firmware is using the 2.6.32 kernel so no 3.0 upgrade unlike the Xperia S. This firmware is not final but is likely to sit between the beta and the final version. The firmware cannot be flashed using a FTF file as it does not have the right signatures to be used on production handsets. The only way to boot the firmware is using a recovery solution such as ClockworkMod and using a different kernel such as DooMKernel. To get an idea of performance on an Xperia arc S and Xperia ray click through for the video below.